For those of you who are interested in the Nerdtacular II event hosted by Scott Johnson at MyExtraLife (and sponsored by your very own Major Spoilers), you might be interested to know there are going to be some great prizes at the event. 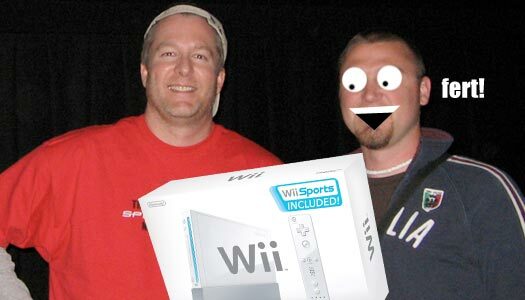 The biggest so far is a Nintendo Wii. A lucky Nerdtacular attendee will receive one of these bad boys in a drawing before the movie. How cool is that? Too cool, thatâ€™s how cool. I wish I could give the donator more props but he wantâ€™s to remain anonymous. Cool indeed. Keep a sharp eye out for the ticket give-away, they’ll go fast.